My basil plant has officially decided to pack it up for the summer. It is bolting despite my efforts to prune and fertilize and the leaves are not as vibrant as they used to be, so it’s time to make Pesto! 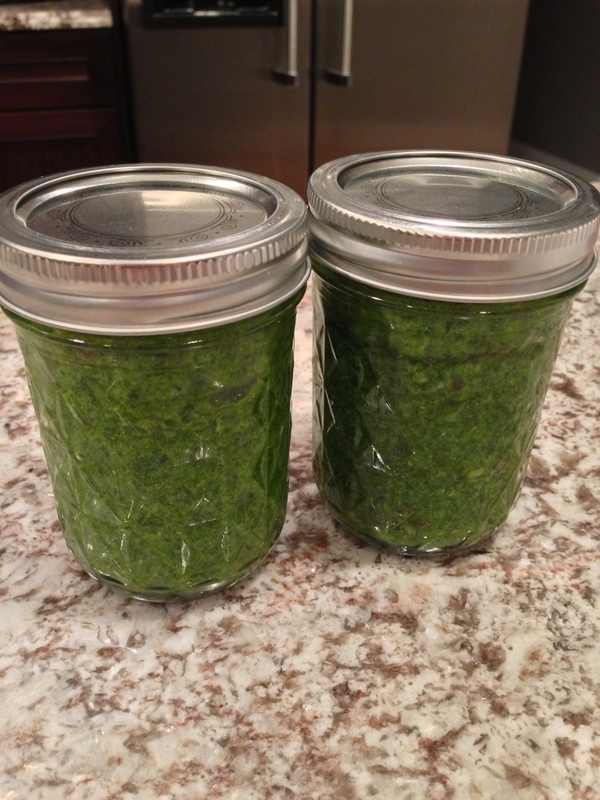 My mother was boasting about how she used her basil at home and made 31 cups of pesto. 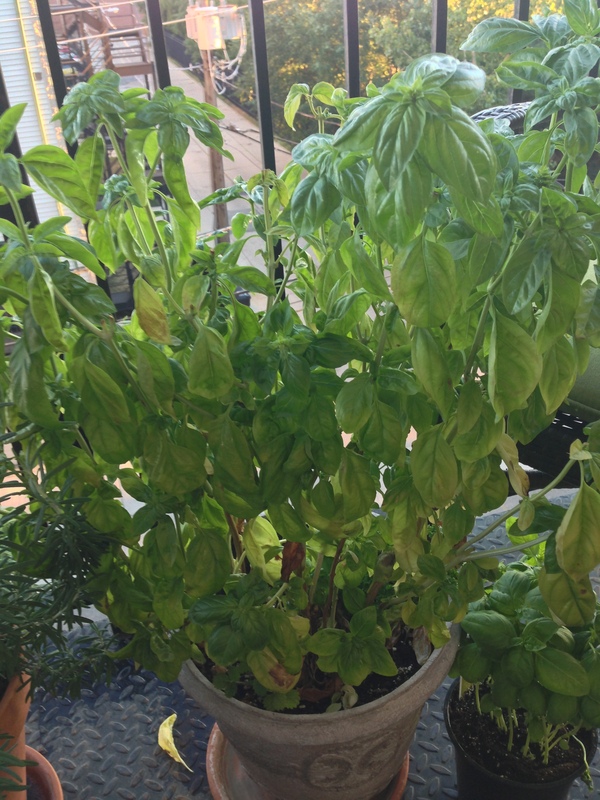 I thought my basil plant on the balcony was pretty big…it made 2 1/4 cups of pesto. Note to self, get a bigger balcony. I didn’t have any pine nuts at home, so I substituted pistachios, and I used my infused olive oil instead of regular olive oil for a little something special. Now I used some very loose measurements…it’s sort of about feel. 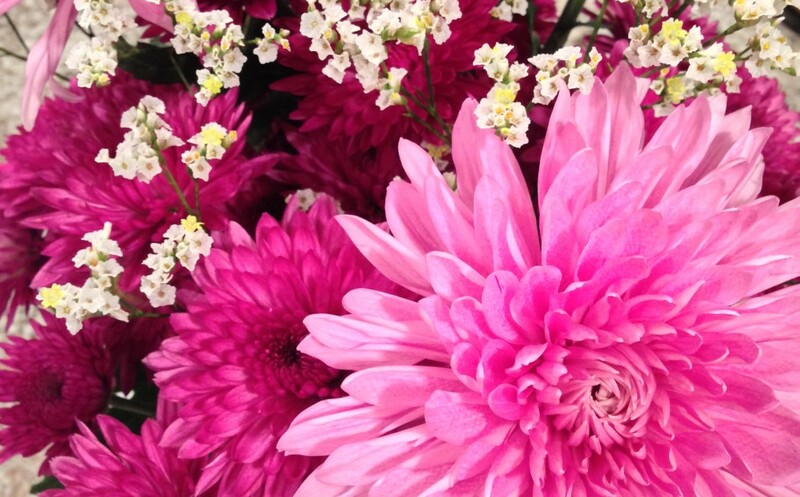 I wanted to use terms like “a lot”, “enough” and “a little” instead of actual measurements, but people like my husband will go a little crazy and abandon the project if I do that…so here are some guidelines as to what I did. 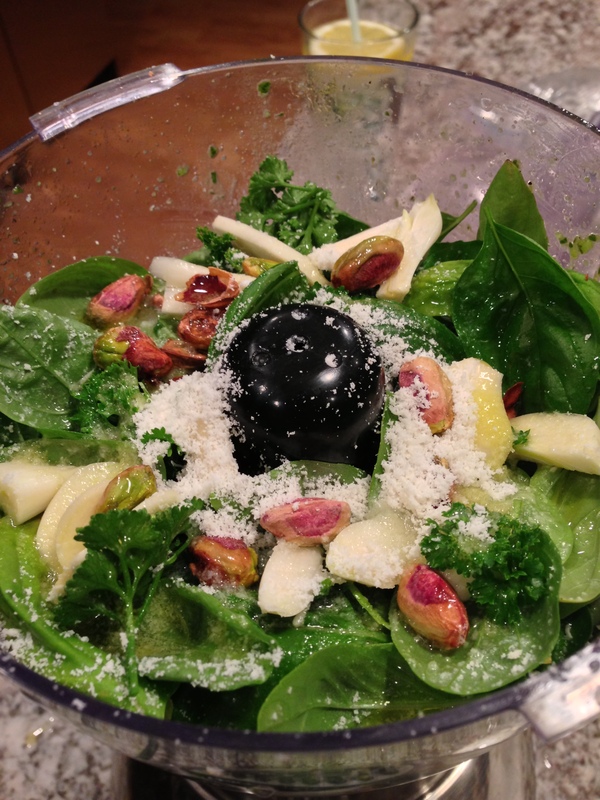 Put everything in the blender and pulse to blend, add oils slowly until consistency is smooth but not too runny. For the final batch I didn’t have enough basil, so I added mint leaves, rosemary, and sage to fill up the food processor. It had a nice herb flavor that will likely pair well with chicken. Use immediately or store for a few days in the refrigerator. 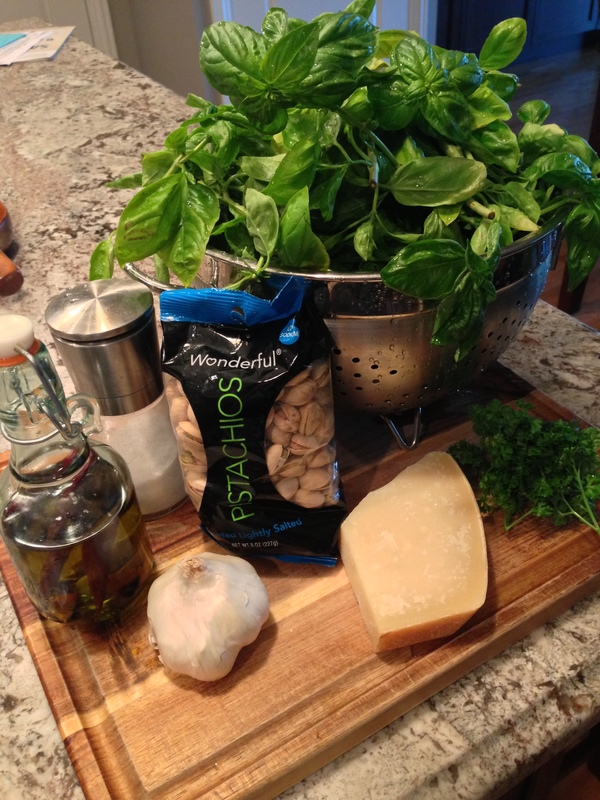 If you want to freeze the pesto, most websites recommend not adding the cheese until thawed for use. My mom has always frozen it with the cheese mixed in without consequence, so I did the same. A good secret however is to pour a layer of olive oil on top of the pesto to keep fresh in the freezer. Use in up to 3 months is recommended. Again we must live on the wild side in my family, I have used pesto that is a year old and it’s still perfect and fresh…cheese and all. This entry was posted in Main Dishes and tagged Basil, Food processor, Olive oil, Parmigiano-Reggiano, Pesto. Bookmark the permalink.